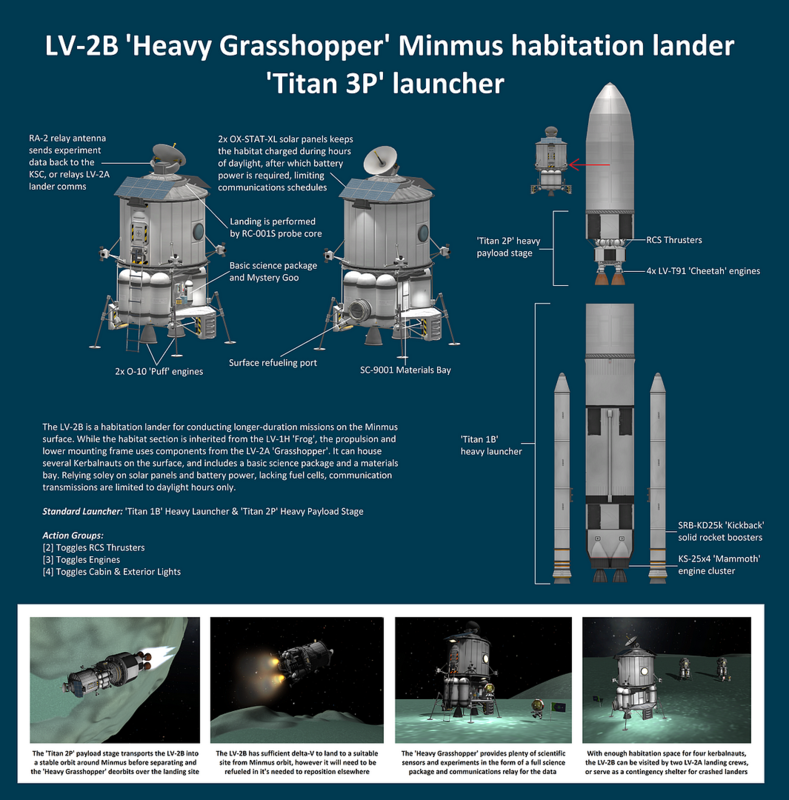 The LV-2B is a habitation lander for conducting longer-duration missions on the Minmus surface. While the habitat section is inherited from the LV-1H ‘Frog’, the propulsion and lower mounting frame uses components from the LV-2A ‘Grasshopper’. It can house several Kerbalnauts on the surface, and includes a basic science package and a materials bay. Relying soley on solar panels and battery power, lacking fuel cells, communication transmissions are limited to daylight hours only.